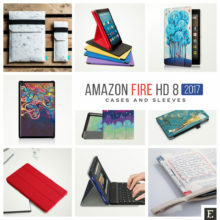 The 2017 Fire HD 8 brings a few little improvements and a $10 price drop compared to the 2016 release. 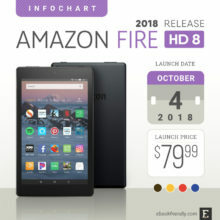 The 8-inch Fire HD 8 tablet is one of the four devices announced by Amazon in May 2017. 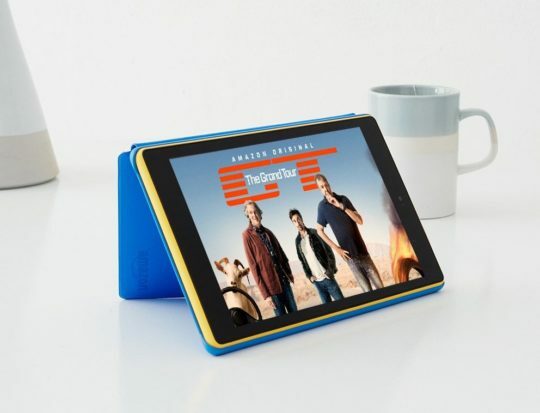 While the smaller Amazon Fire 7 has been visibly upgraded, the improvements made to the Fire HD 8 are rather small. 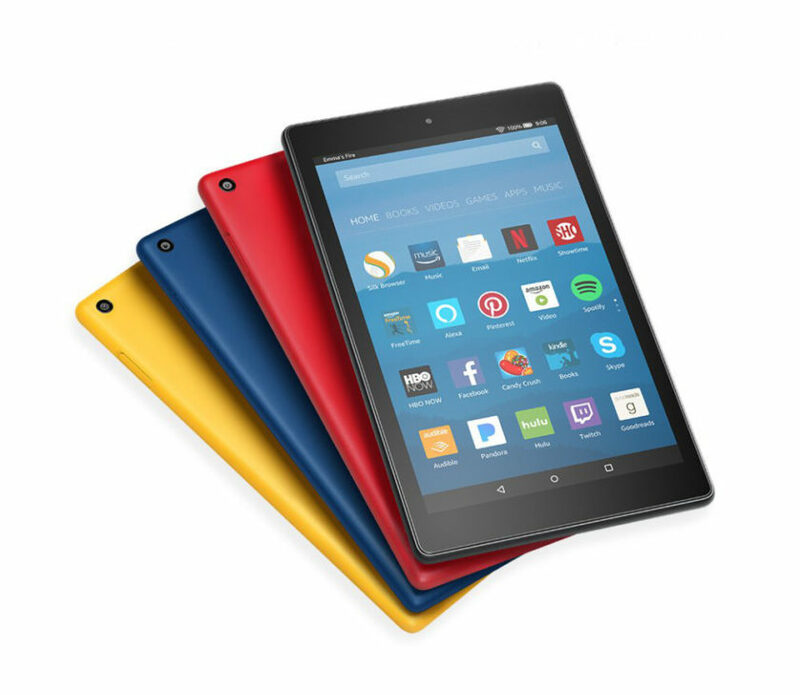 Two most noticeable changes in the 8-inch Fire HD tablet are the colors and the price. 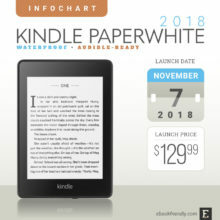 The launch price was set at $79.99 – $10 less than the predecessor, and the same as the list price of the entry-level Kindle e-reader. It’s the price for the 16 GB version with special offers. 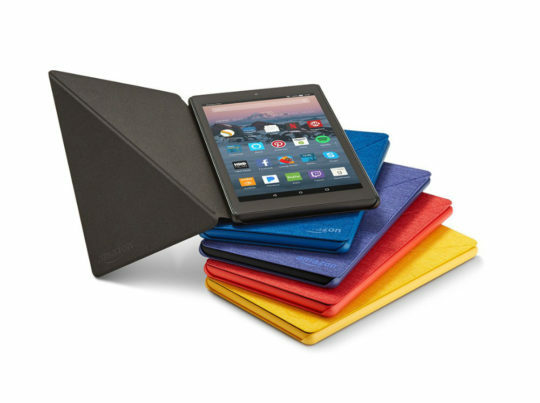 The most expensive Fire HD 8 option – with 32 GB and no ads – costs $124.99. It’s on the same level as Samsung Galaxy Tab A 7, which is added to a comparison table later in the overview. The second most significant change is the 2017 range of colors. 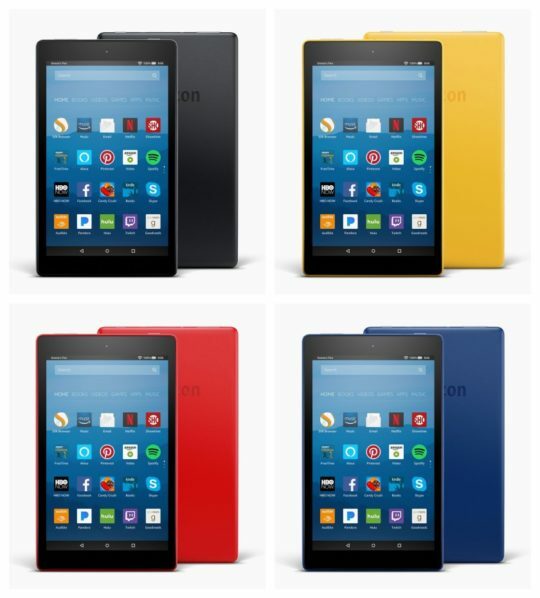 Do you remember the colors of the Fire tablets released in 2015? Four attention-grabbing variants were referring to CMYK color model. They were cold, compared to bright and warm variants of the 2017 generation of Fire devices. Just hear the names: Canary Yellow, Marine Blue, Punch Red (and, obviously, Black). 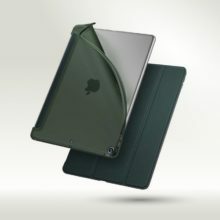 The color variants can be endlessly combined with case covers available in the same visual spectrum. 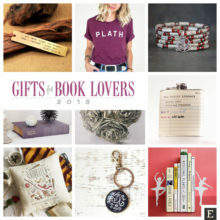 They are offered not only by Amazon. A few third-party producers have created the series designed to fit the same color range. What’s interesting, the 2017 Amazon Fire HD 8 is thicker and heavier than the 6th generation. The new model weighs 13 oz (369 g), the previous one is 11 oz (311 g). There is also a difference in the depth – 9.7 mm vs. 9.2 mm. 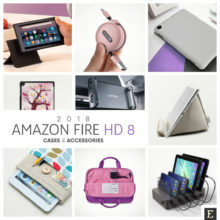 The Fire HD 8 released in 2016 is still available in the Amazon store. Its price hasn’t dropped a bit. It’s still $89.99. 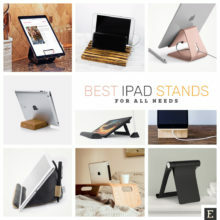 If you consider getting the Fire tablet, you most probably don’t need advanced (and sometimes fancy) features of the iPad Pro or Samsung Galaxy Tab S3. And you must heavily consume digital content provided by Amazon: videos, games, music, ebooks, magazines, graphic novels – some of it via subscriptions. 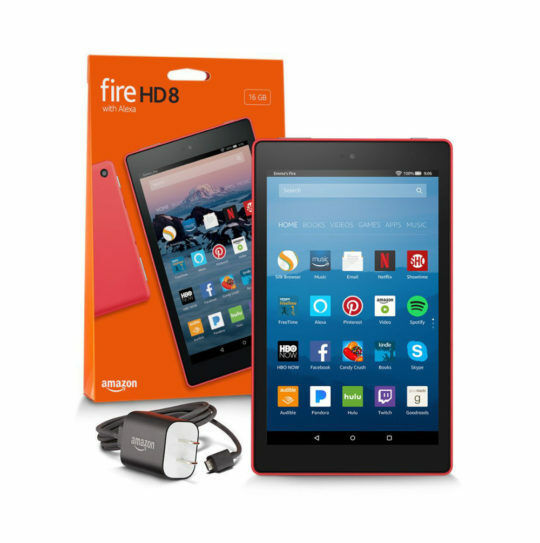 In this case, the decision goes down to the simple choice between Fire 7 and Fire HD 8. 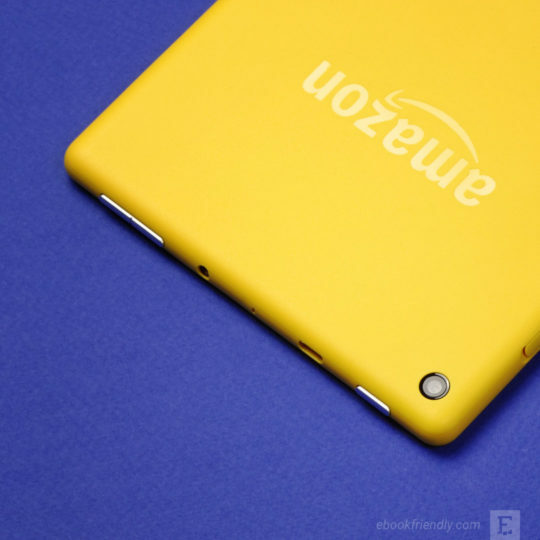 Is Amazon’s 7-inch tablet large and fast enough to comfortably watch videos or play games? 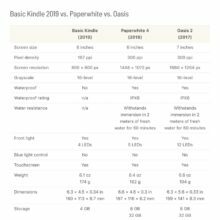 Do I need the 8-inch screen, if all I need is a decent tablet to read ebooks and magazines? 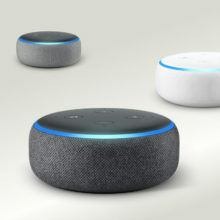 Which of these devices is better for my teenage son? Which one will be a better replacement for my old good Kindle Fire HDX? The price difference between the 2017 Fire tablets is only $20. The HD 8 has a better screen, with a pixel density of 189 ppi, compared to 171 ppi in Fire 7. 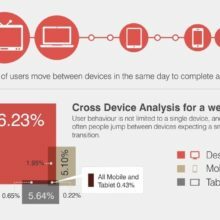 It doesn’t make a difference when you are reading an ebook, but you’ll want the graphic to be better when watching videos or play games. What tech reviewers are highlighting is the speed. Common tasks are handled correctly by both tablets, but the bigger Fire HD 8 performs better when more memory is needed. It has 1.5 GB of RAM, compared to 1.0 GB of the Fire 7. As a reference, we’ve added to the comparison table a tablet produced by Samsung – the 7-inch Galaxy Tab A 7. It was released in March 2016, with the price set at $149.99, but now reduced to $119.99. What’s more, just like the Fires, Galaxy Tab A 7 has a slot for microSD card, what makes it possible to add a lot of own content without the need to use a cloud service. Plus, the tablet from Samsung features much better cameras, both on the front and back. And, as it gives access to Amazon services via Google Play apps, it is an option to consider if your budget for a tablet is roughly around $100. Want to read an extensive review of the newly-released 8-inch Fire? Why not check out the review highlights from top tech bloggers. Follow the links placed under each passage to read the full review. The HD 8 will be fine for most people, but if you’ve used an iPad before, you’ll feel it’s a step down. 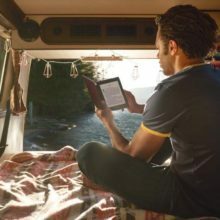 Another downside is that even though the Fire OS is built on an Android foundation, you’re locked into Amazon’s Fire OS and its less robust app store rather than the Google Play store you’d find on a “real” Android tablet. Just like last year, it’s a tablet laser-focused on someone who wants a cheap, reliable slate but doesn’t expect the earth. This isn’t an incredibly quick tablet either. Most games and apps will run just fine, even high-end ones, but the system isn’t as fast to respond as a powerful Android tablet. It’s a decent size to hold in one hand as an ebook reader, but it’s a bit too heavy for marathon reading sessions. Battery life, at 4 hours, 42 minutes of web video streaming at maximum screen brightness, is fine but not great. One of the best bits about the Fire HD 8 is its speakers, which are mounted in the side (or top if held in landscape orientation) and produce fairly good, clear and loud audio, for a tablet. I found reading on it surprisingly good though it’s nowhere near as clear and sharp as an e-reader. Thankfully, the Fire HD 8 doesn’t feel fragile. The build quality seems solid, even if the plastic on the back feels a little cheap, and the buttons offer nice, clicky feedback. Don’t expect to easily play graphically-intense games, or to use this tablet as a productivity tablet. 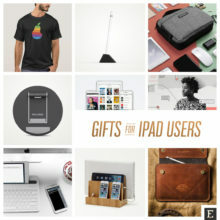 It’s best for browsing the web, playing light games, reading, and listening to music. On the whole, it behaves a lot like using a decent mid-range phone, and it actually feels noticeably smoother than my 3rd generation iPad Mini. Fire HD8 is an easy choice for anyone who doesn’t need top-of-the-specs. 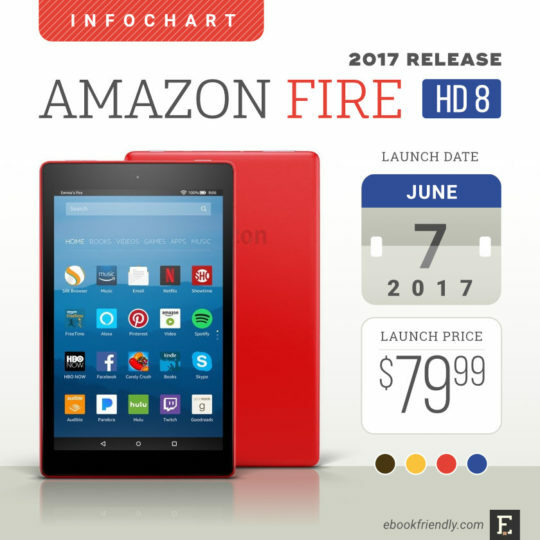 Fire tablets launched in 2017 come in bright and warm colors. 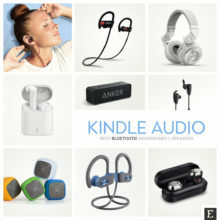 Take a look at the pictures of the Amazon HD 8 we’ve collected below. 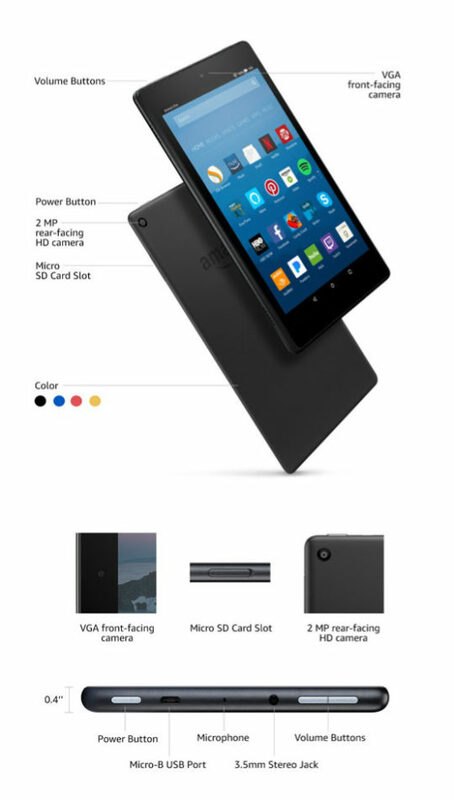 Below, you’ll find the full tech specs of the Fire HD 8 tablet released in 2017. 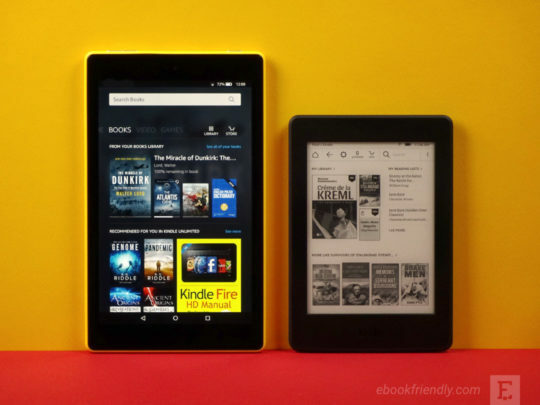 Before you go Fire HD 8 Wiki page, check out what Amazon wants to say about the new tablet. Below are the highlights from the product detail page. 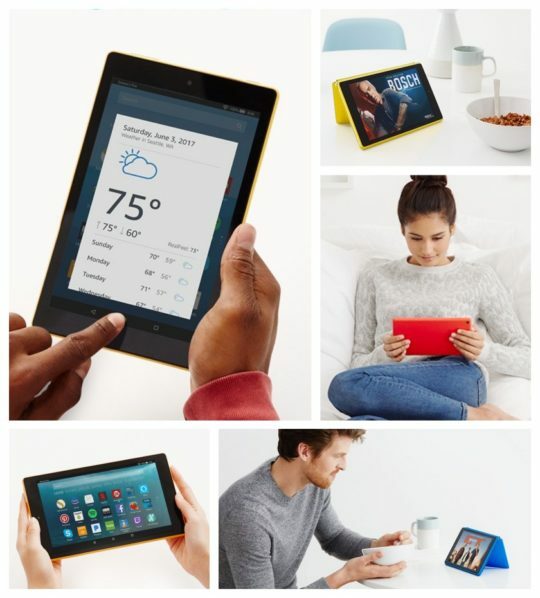 Fire HD 8 features a 1280 × 800 high-definition display with over a million pixels (189 ppi) and a bright, vivid picture. Enjoy movies and games in a crisp, clear HD resolution, with less glare and more brightness thanks to a stunning IPS (in-plane-switching) LCD display.